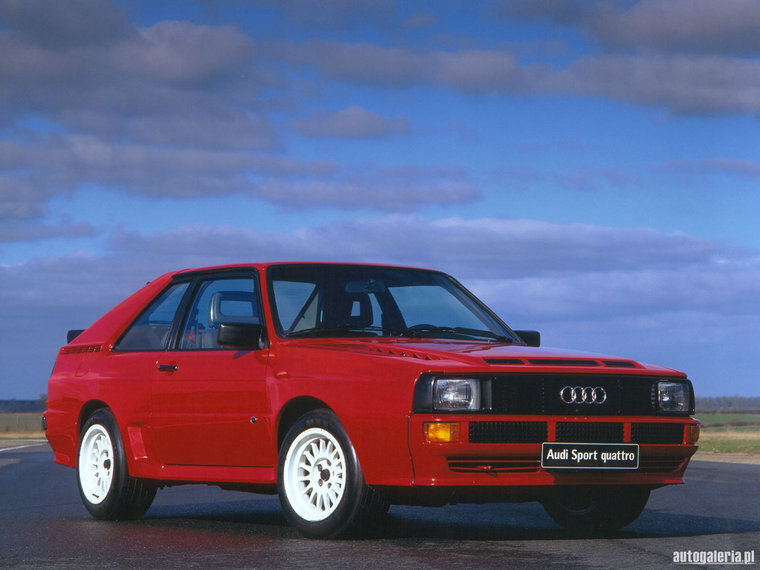 Often cited as one of the most influential cars of the 2oth century, the Audi Quattro certainly shook the world at its introduction in 1980. 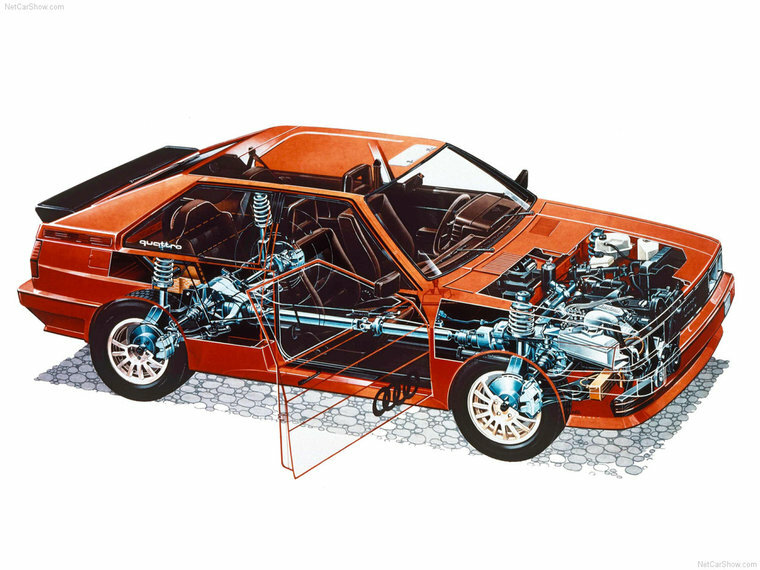 The quattro was the first car from a big volume manufacturer to feature 4 wheel drive (not actually the very first car, the Jensen FF was actualy the worlds first 4×4 sportscar). It was also the car that changed the sport of Rallying forever. Since its World Rally Championship debut in 1982, only 1 rear wheel drive car, the Lancia 037 has ever won the championship since (actually the following year 1983, and then only by 2 points). 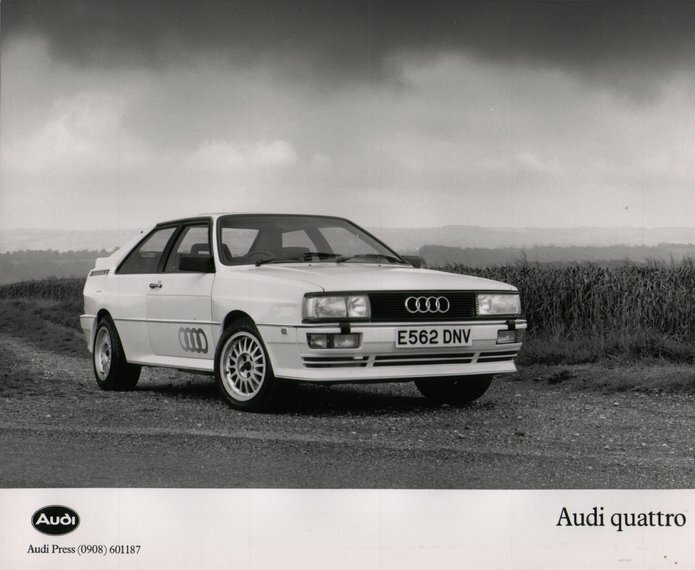 Since Audi have used the name “quattro” to mean 4×4 on subsequent models, talking about the Quattro can get a bit confusing. 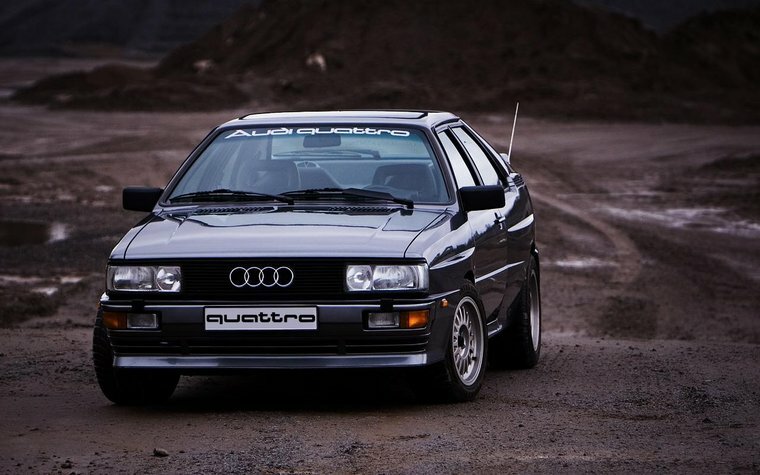 Generally the original car is reffered to as the Ur-Quattro (german for original or ancestral). 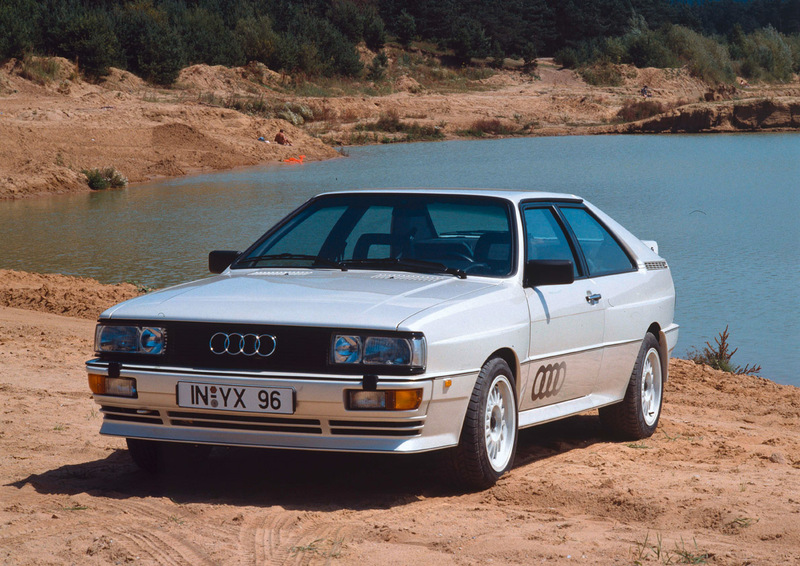 Also, since it’s first two years of success in the world rally scene all subsequent Audi cars using the patented 4 wheel drive system were badged as quattro with a lower case “q”. 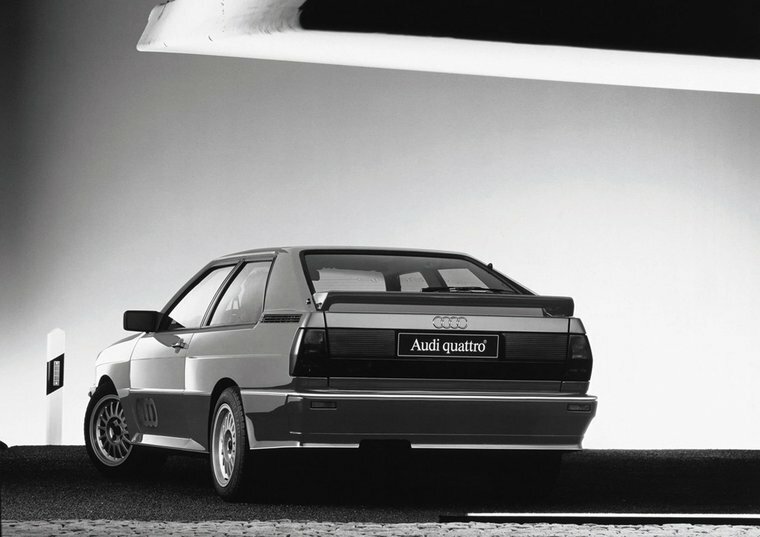 The original Quattro (uppercase “Q” cars) are now sought after collectors cars. 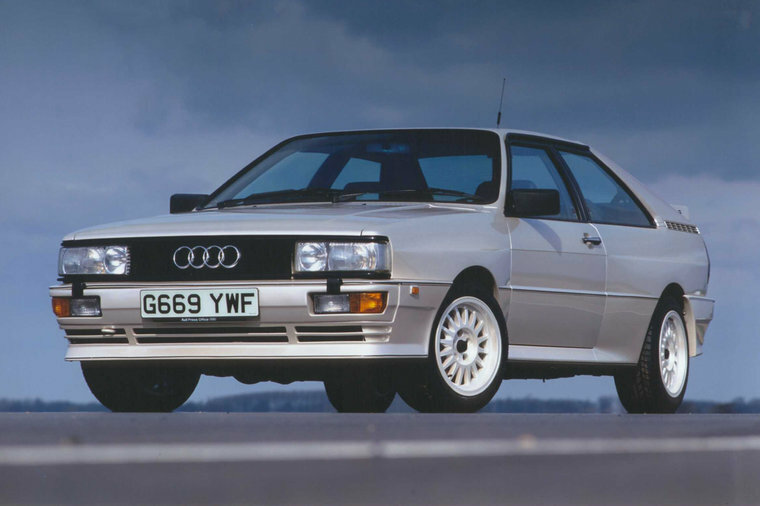 During its 11 year lifespan the Quattro evolved subtley with very little styling changes (Styled by Sheffield born Martin Smith), the major changes being engine based. Enthusiasts tend to identify each generation by it’s engine code. The first generation 2.1L 10 valve WR engine (1980-1987) produced 197 bhp and a 0-60 of around 7.5 seconds. In ’83 a funky digital dash replaced the traditional analogue dials (green initially then changed to orange in ’88). The MB engine came in 1987. It had a slightly larger capacity of 2.2 litres, the same power (197bhp) but was tuned for greater torque lower down in the rev range making it more drivable. 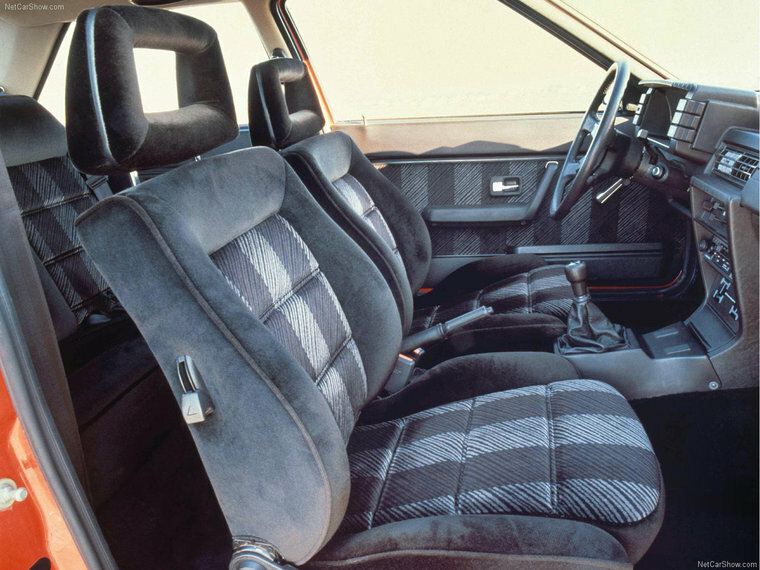 The first RHD cars became available in the UK in 1983. Finally in 1989 the RR engine was introduced. It was a 2.2 litre 20 valve unit that now produced 220 bhp. That was good enough to propel the Quattro from a standstill to 60 mph in just 6.3 seconds. The last car was produced in 1991. 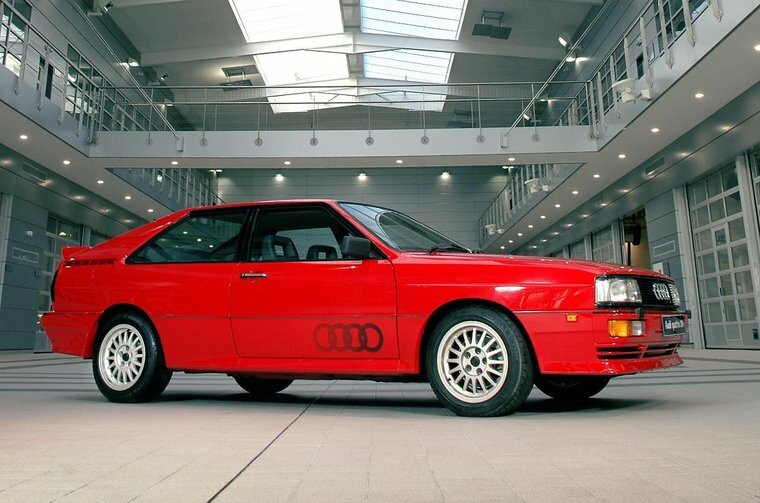 The Audi Sport Quattro was the ultimate roadgoing version of the Ur Quattro. Designed purely as a homologation car to qualify for Group B rallying, the Sport Quattro was a specially shortened wheelbase, carbon-kevlar body shelled rally monster. The car featured a wider track, wider wheels, a steeper raked windscreen and an all aluminium, 2.1 litre version of the 5 cylinder Turbocharged 20v engine which, in road form produced around 300bhp (the full on rally spec cars could produce over 450bhp). Only 224 road cars were ever built and have since become collectors pieces, commanding huge prices (£100,000 plus figures) for good used examples. The quattro is a mighty car, the evocative sound of the classic 5 cylinder turbo engine alone is enough to give you goosebumps. 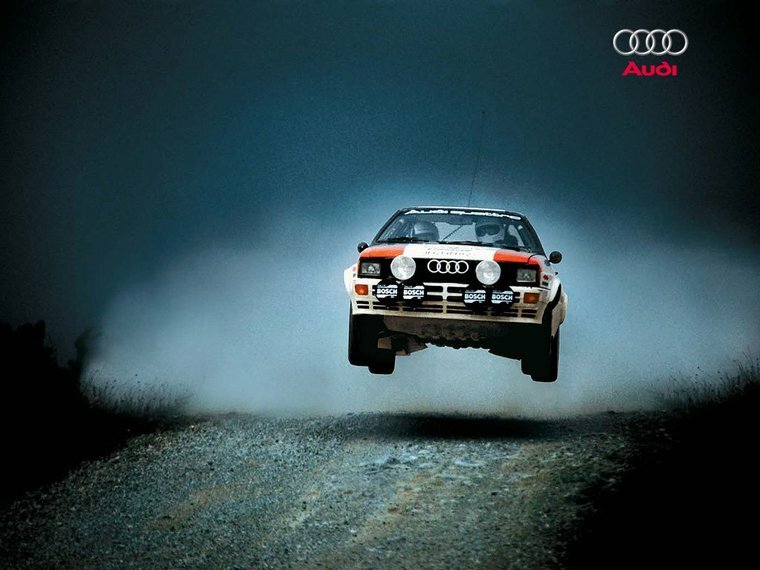 A true legend born in battle on the forest stages, equally at home ripping up the b-roads, or just out for a sunday blast, the Quattro is a true 20th century icon.